Based on the polar nature of the first two books in the Dune series, Paul’s ascension in Dune and his descent in Dune Messiah, not much would seem left to be told in the House Atreides saga. Publishing Children of Dune in 1976, ten years after Dune, Frank Herbert proved there was still more to tell, telling a solid, not spectacular tale that has some big shoes to fill if it is to live up to the success of Dune. With Paul having been cast blind into the desert at the conclusion of Dune Messiah, Children of Dune opens roughly a decade later with Alia on the throne and caring for Paul and Chani’s twins, Leto II and Ghanima. Fearing she is an abomination due to the ghost of Baron Harkonnen living inside of her, Alia’s psychological stability takes blow after blow, a fact not helped by the re-emergence of Paul’s mother, the Benne-Gesserit Lady Jessica, at court. Arrakis terraforming continuing apace, the desert is being reclaimed, the planet greener by the day. Leto, realizing the threat this represents to the sandworms, goes into the desert in an attempt to save the spice producing beasts, leaving his family behind in the process. Topping all of this, House Corinno once again plots to retake the throne, nobody knowing how the chaos in the works will turn out in the end. 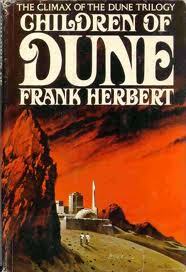 Frank Herbert’s 1965 Dune was an overwhelming success. Winning awards and selling millions of copies, little did readers know, however, it was only the beginning of the Family Atreides saga. Picking up events roughly a decade after Paul’s ascension to Emperor, Dune Messiah is the story of his descent from power. Knocking the hero he created off his pedestal, readers should be prepared for a large number of changes in the story—and not all are for the better. 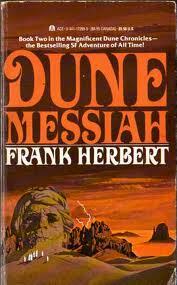 Dune Messiah continues the saga of the Atreides family in epic, soap-operatic fashion. Paul, having expanded his power to over much of the known universe since becoming Emperor in Dune, is nevertheless helpless to prevent the religious fanaticism and destruction caused by his Fremen followers, drawing the hatred and ire of the opposition in the process. Chani, now his concubine, is unable to conceive due to contraceptives the consort Irulan is secretly slipping her. Paul is aware of the fact, but his visions have shown him that Chani dies in childbirth, and thus does nothing to stop Irulan. New cabals have arisen, also. The Benne-Gesserits, Spacing Guild, and a newly introduced species of shapeshifters called the Tleilaxu plot together to dethrone Paul. Everyone’s fate once again uncertain, major changes on Arrakis are in the works. 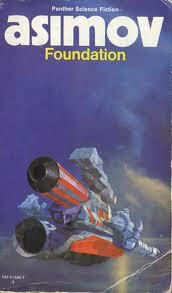 The books of the Foundation series are among Isaac Asimov’s most famous works. The first, called simply Foundation, is actually a fix-up of five short stories/novellas and introduces the highly original concept of ‘psychohistory’, defined on Wikipedia as “a field of science and psychology that equates all possibilities in large societies to mathematics, allowing for the prediction of future events”. Asimov’s prose pedestrian and his characters cardboard cut-outs of each other, the book is nevertheless a quality example of Golden Age science fiction which scratches at something deeper in the evolution and behavior of humanity. Set innumerable years in the future with mankind inhabiting the stars, the premise of Foundation is that intergalactic government has grown internally weak without its knowledge and faces a Dark Age of 30,000 years, that is, if the ramblings of the professor Harry Seldon are to be believed. A psychohistorian, Seldon seeks to create an Encyclopaedia Galactica to preserve knowledge and thus significantly reduce the number of “dark” years to come. After unsuccessfully defending himself at trial, Seldon goes into exile on the distant planet Terminus where he and other Encyclopedists are left free to put his ideas into action. How civilization in the galaxy evolves from there is anybody’s guess—or is it? 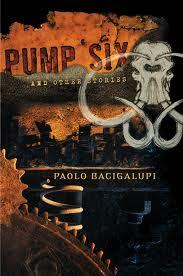 Pump Six and Other Stories is a selection of short stories written between 1999 and 2008 from the up and coming Paolo Bacigalupi. Published before the overwhelming success of his first novel, 2009’s The Windup Girl, the collection features a variety of mostly original bio- and cyberpunk stories, a handful nominated for awards. Lacking the polished technique of many of these sub-genre’s great stylists and too often depending on shock value, the following is a brief rundown of the ten stories in the collection. “Pocketful of Dharma” (1999) – This is the story of beggar boy Wang Jun in near-future Chengdu, China. After a run in with a gang of thugs, Wang comes into the possession of an object that could make him rich or kill him in the offing. Highly reminiscent of a Gibson novel (without the style), this story is a solid, but unspectacular opener to the collection. “The Fluted Girl” (2003) – A girl named Lydia attempts to remain hidden in the castle of her patron, Baleri, who has biologically modified her and her twin sister. A creepy story of the potential for bioengineering with a macabre, Gothic twist (reminiscent of Jeff Vandermeer’s Veniss Underground), it gets a bit sensationalist toward the end, but is overall a well-developed story. Tim Burton would love it. According to his autobiography This Is Me, Jack Vance!, the author constructed his own home. The wood home is also an idea that plays out in much of Vance’s fiction, Son of the Tree, The Cadwal Chronicles, and “Dream Castle”, included. 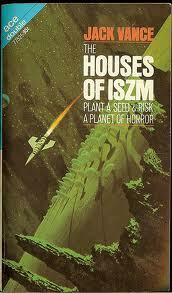 It’s also the main behind the novella The Houses of Iszm, the subject of this review. The Houses of Iszm is the story Farr Sainh, a botanist from the University of Los Angeles, who arrives at Iszm on a sabbatical intending to study the planet’s unique tree life in which its people make and sell homes. Security on Iszm strict due to the value of the trees, Sainh undergoes a variety of procedures having his identity verified, and even after being allowed entrance, is monitored continuously by the paranoid Iszic. Quickly becoming involved in another species attempts to steal some of the famous Iszic trees, Sainh’s adventures roll from there. 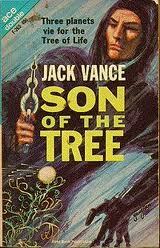 Son of the Tree is a novella from very early in Vance’s career. Written in 1950, the story presents some of the basics of style that would later become Vance’s signature, but by in large is simplistic story-telling with few bright spots. Almost as if having a laugh at writing itself, the protagonist of Son of the Tree is Joe Smith. Essentially a galactic vagrant, Smith finds himself on the planet Kyril searching for the man who stole his love. Quickly getting caught up in events surrounding Kyril’s gigantic tree of life and the rival Druids and Mangs fighting for its control, Smith soon finds saving his own skin is of more importance than getting revenge. Son of the Tree’s pacing is brisk even for Vance. Events continually on the move, readers barely have a chance to settle in one location before being whisked away to another. It would have been nice, for example, to see the peoples of Kyril given a little more detail and color. Like two other of Vance’s short works, Telek and “Chateau D’If”, Son of the Tree feels as though it would have been better expanded into a novel, interplanetary revenge and culture coups too much for only 100 pages. 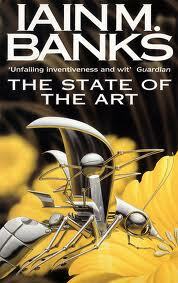 The State of the Art is a collection of short fiction by Iain Banks written between’84 and ’87. Surprisingly, it is the only such collection the author has published. Given Banks’ fourteen mainstream novels and twelve sci-fi novels, one would expect a much larger output of short stories and novellas. Continuing to defy expectation, all the stories in the collection (save one) are science fiction—the genre for which he is less known. The following is a brief summary of the eight stories (three of which are Culture related). “Road of Skulls” – Not a story in any conventional sense, the collection opens with the bickering of Mc9 and a companion whose name “he’d never bothered to find out” while they sit on the back of a cart being pulled over a road paved with enemy skulls. A short, macabre tribute to storytelling. 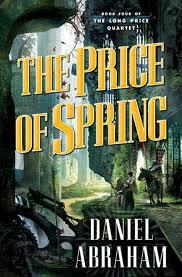 The Price of Spring, the fourth and final book in Daniel Abraham’s Long Price Quartet, wraps up the series in sublime, mature style. Along with seeing the arcs of favorite characters come to satisfying, if not bittersweet, ends, the state to which the land is brought—a position wholly different than when the series began—is stabilized. But not as one might predict. The details of how they arrive at this stability are what make the novel thematically the strongest of the series and a poignant conclusion to the tale. Following the pattern set by the previous three books, The Price of Spring picks up events roughly fifteen years after An Autumn War. The men of Galt and the women of the Khaimete remain sterile, but the political situation has not devolved into further war. Balasar Gice is still an advisor to Otah, now emperor, and together they attempt to find a way to bring the social situation between the two lands into a more defined and peaceful state. But a lot of hostility obstructing their efforts, remains. Cultural prejudices fuel a hatred that prevents Galt women from bearing children with Khai men and vice versa. By appealing directly to the women of Galt—something never before done in their male dominated world, Otah hopes to build a social bridge. Maati, however, takes a different route in seeking to right the wrongs he committed, and now trains women as poets, hoping that a women’s perspective on binding can heal the hurt of the land. Enmity against all of these actions existing from top to bottom, the situation of the land remains as much in doubt as ever, war threatening to break out again. 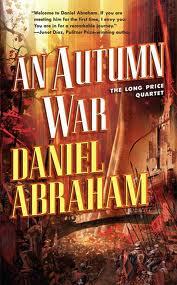 An Autumn War is the third book in Daniel Abraham’s Long Price Quartet, and when compared to the other three books, contains the most action and plot movement. The Galts, having made semi-successful inroads into the Khaimete in the previous books, now make a harder push with new tools on hand to get the job done. As such, several new characters are added, new areas of the map are explored, and a handful of major surprises are sprung on readers, keeping suspense high. But is the novel an improvement on the series? Some will argue yes, others, no. An Autumn War picks up matters roughly fifteen years after the events of A Betrayal in Winter. The story opens with a weary Galt general, Balasar Gice, returning to his homeland after having successfully stolen several Khai books of andat lore and philosophy. Capturing a rogue poet several years later, they hope to create an andat of their own that will aid their takeover of the Khaimete. Otah is still Khai Machi, and he and Kiyan now have two children, the headstrong girl, Eiah, and sickly son, Kanat. Maati has remained in Machi as an assistant to Cehmai and is still performing his own research how to capture an andat. But his work is interrupted one day with the arrival of he and Otah’s former lover, Liat, and their son, Nayit. Major surprises appearing every fifty pages or so, the Galt’s advance on the Khaimete is full of suspense and concludes in major scene that will satisfy all who’ve thought the series was soft thus far. A Betrayal in Winter picks up events in the Khaimete 15 years after A Shadow in Summer. Otah is a courier and once again living under the name Itani. Maati, having failed to uphold his duties in the first novel, has spent the years living in shame under the roof of the Dai-kvo, studying bits of lore and avoiding the public eye. Events quickly escalate, however. The Khai Machi, the father who exiled Otah, is dying and his recognized sons have begun the rounds of fratricide that decide who will ascend the throne. One son dying in mysterious circumstances beyond simple family feud, Maati is sent by the Dai-kvo to investigate the murder under the guise of a scholar. The turmoil that erupts from this event, however, may have larger consequences for the Machi and Khaimete than either Maati or Otah are prepared to handle. Abraham introduces some interesting new characters in A Betrayal in Winter. Like Saraykeht, the city of Machi has its own poet and andat, Cehmai and Stone-Made-Soft, whose skills keep the mines, foundries, and blacksmiths busy with metals and jewels. Cehmai much younger and of sounder mind and body than Heshai, he maintains a stable degree of control over his andat. Threatening to distract him from his duties, however, is the only daughter of House Machi: the ambitious Idaan. Secretly coveting the throne for herself in a land where women claim no rights to power, Idaan plots and schemes in a devious manner toward realizing her goals. Events focused almost entirely in the city of Machi, an assortment of other important secondary characters appear to fill out the story. Emotional content once again the focus, Abraham continues giving these characters a fair shake when it comes to presenting them realistically (albeit it at times melodramatically), the facet which is the strength of the series. It’s 2012 and the fantasy market is showing every sign of saturation. Riding on the coattails of the success of The Lord of the Rings films, George R.R.Martin’s post-Tolkien visions of medieval fantasy, Harry Potter, and the Twilight saga, the number of unheard of authors writing about wizards, urban vampires, dragons, spells, the paranormal, and all other manner of supernatural is unprecedented. And, as is to be expected when examining such an output of work, the majority has either one or both feet squarely in the domain of derivative. Imitation not a surefire guarantee of success, it’s nevertheless a good enough opportunity that writers and publishers alike are willing to take the chance. This is what makes Daniel Abraham’s Long Price Quartet, with its feet on a fantasy island of its own, a welcome breath of air. 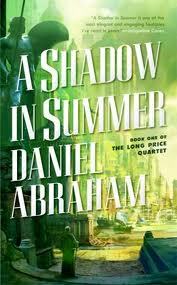 A Shadow in Summer is the first volume in the series. The story of two young men, Otah and Maati, the former rejects the ways of the institution they are raised in and chooses to make his own way in the real world while the latter subjects himself to the ways of their order, as strict as they may be, for a chance at controlling an andat. Like a genie in a bottle, an andat is a spirit conjured by a poet that is capable of performing one magical function. Once enslaved, an andat must perform a poet’s bidding, which in the novel’s case, is to remove the yet-alive from any medium, e.g. seeds from cotton or unborn babies from women. As mundane a talent as this seems, the setting of the novel, the city Saraykheht, prospers mightily from the andat’s efforts, the textile industry making the region rich beyond comparison and the poet and andat a prize to be protected. The neighboring country Galt, jealous of the city’s wealth and position, seeks to intervene by killing the poet, and subsequently the andat. Maati next in line to take power over the andat and Otah a laborer in the city’s bustling clothe warehouses, each find themselves caught up in Galt’s plot in ways they never imagined. Unlike many science fiction series which tend to work linearly, continuing the story lines of favorite characters book after book, Iain Banks’ Culture series has the benefit of being open to any variety of new characters, settings, and plots. Like pieces of a pie, with each new Culture offering, more of the Banks’ universe is set before the reader. Fresh tech, new AI personalities, and whole, previously unexplored corners of his galaxy are exposed in detail. 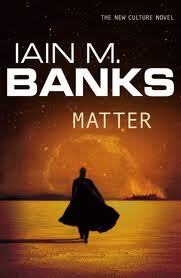 After six books and an eight year hiatus from the series, Banks returns in 2008 with Matter, proving there is still plenty more pie to be eaten. Matter is the story of the three Hausk siblings: the oldest Anaplian, the middle Ferbin, and the youngest, Oramen. Born and raised on the middle level of an artificial planet structured like an onion (called Sursamen), life is not always easy. Their quality of life existing at a state circa the US Civil War, steam power, rifles, and the telegraph are beginning to take shape, but battles are still largely fought with horse and sword. After witnessing the murder of their father the king, Ferbin runs into exile and attempts to escape to the surface of Sursamen and ask their sponsor species for help in revenge. Believing his father to have been killed in battle, Oramen, too young to take power, willingly allows the rebel tyl Loesp regency but soon finds himself evading assassination. 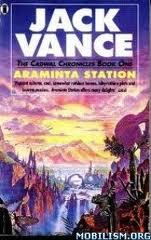 The 1980s found Jack Vance moving into his sixth decade of life. Imagination still sharp, he produced such works as the Lyonesse trilogy, the second half of the Cugel saga, as well as began the Cadwal Chronicles, Araminta Station published in 1989. The novel on par with the best of Vance’s oeuvre, the second novel in the series, Ecce and Old Earth, sees only a slight decline in quality, the story furthered in fine fashion. The third and concluding volume, however, is like a different writer took hold of the script. The story delivered is dry and bland, and does not come close to the bar set by the first two. Throy fortunately not bad enough to destroy the integrity of the series, the Cadwal Chronicles contain all of the tropes that make Vance, Vance, and likewise make the series well worth a read for any fan of the author. The Cadwal Chronicles is the story of Glawen Clattuc and his fight to protect the planet Cadwal from being overrun by greedy developers and political dissidents. The planet set aside as a nature preserve and population limited many centuries prior by a group on Earth called the Naturalists, in the time that has passed since many things have changed for the worse on the planet. Aside from the deterioration of the Naturalists, a listless, unintelligent group called the Yips have slowly settled in the beautiful but dangerous forests of Cadwal and caused social problems of all variety. Making matters worse, the eight families designated to oversee the planet and ensure it’s pristine quality have begun to collapse internally, Glawen’s own family even suffering from in-fighting and civil turmoil. Through this mire of family feuds and social ills, not to mention political plays for power and motives of overblown revenge, Glawen needs every bit of wisdom and luck at his disposal to protect the planet he’s bound by duty to oversee. 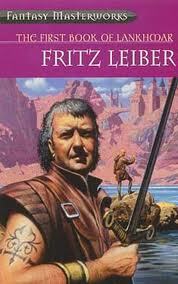 For a period of four decades, 1940s to the ‘80s, Fritz Leiber’s pair, Farfhrd and the Gray Mouser, were two of sword and sorcery’s most beloved creations. Their adventures spanning more than 30 short stories, novelettes, novellas, and even a novel, Orion decided to publish the collection in two volumes for the ongoing Fantasy Masterworks series, The First and Second Book of Lankhmar. Fun and entertainment forever at the forefront, serious literature it is not. Fafhrd a sentimental,Viking-esque warrior fighting far from home and the Gray Mouser a small but wily thief with more than one trick up his sleeve, the duo seem to continually find themselves in a scrape—the law, magicians, witches, and otherwise. Rogues through and through, they would list thievery, vendettas, and mercenary work on their resumes if they ever tried to find jobs that didn’t place them in a new adventure every week. And the city where they live, Lankhmar, doesn’t have any shortage of opportunities. The foggy, scummy, magical, lantern lit, and decadent streets possessing a fun adventure around every corner, it doesn’t seem they’ll be switching professions anytime soon. Paul Kearney is a name that flies under most fantasy radars. It is undeservingly so. Possessing writing skills that move stories at a good pace, utilizing typical themes of myth (honor, courage, loyalty, duty, etc. ), writing event-focused storylines with realistic action, and having perhaps the best ability to layout and describe battle scenes in the genre today, Kearney warrants more attention than many of the so-called greats of 21st century epic fantasy. With his Monarchies of God series finished and The Sea Beggars hanging in publishing purgatory, Kearney set off in a fresh direction, and recently completed the Macht series. 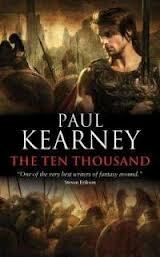 The first book in the trilogy is called The Ten Thousand and is the subject of this review. The Ten Thousand is the story of a mercenary army, the Macht, and the perilous situation they find themselves in far from home when their benefactor has the rug pulled out from under their feet. The Macht an indefatigable mountain warrior society, they have more trouble with tribal in-fighting than threats from the Kufr who live on the plains and valleys below. Kufr a vast and wealthy kingdom, one of their nobles, named Arkamenes, seeks to supplant his brother as ruler and hires 10,000 of the best Macht from the mountains to storm the capital with his Kufr troops. The problem is, they never get there. Tables turned in dramatic fashion, the Macht find themselves in for a fight of their lives if ever they are to return to their beloved homeland again. The Kufr outnumbering them significantly, death comes early and often as the Macht fight one battle after another, their lives in the hands of fate. Told through the eyes of the young warrior Rictus and his commander Jason, the battlefield comes alive.